China’s growth-at-all-costs approach in the last three decades has subjected the country to critical environmental issues that will have adverse effects on the country’s economic growth and social stability if nothing is done to alleviate the problems. Taking a look at the water situation we can see that the country is currently placed in a challenging chokepoint marked by water scarcity, uneven distribution of water resources and heavy pollution. As we have mentioned in our previous article, while being home to 21 per cent of the world’s population, China only has access to 7% of the world’s water resources, ranking at #122 of 175 countries on water per capita. By 2030 water demand is predicted to exceed supply by 199 billion m3 or 25%, especially hitting water-scarce regions in China. Gain an in-depth understanding on how to sell your solutions in the Chinese market and learn from the experiences of your competitors. The above-mentioned water scarcity is especially problematic under consideration of the uneven distribution of freshwater between the North and the South of China. Only 23 per cent of the country’s water sources are located in the North, which are to support 40 per cent of China’s industrial output and irrigate 64 per cent of the country’s arable land. The two largest single users are agriculture, using around 60% of China’s water resources, and the water-thirsty coal industry (coal mining, processing, coal ash control, and coal-fired power plants), which gulps away 20% of China’s entire water withdrawals. To make matters worse, these industries are concentrated in the water-scarce north, making water supply an even more challenging issue in the region. The 2014 Report on the State of the Environment states that 61.5% of groundwater, 29% of major river basins and 41% of key lakes and reservoirs are classed as “unfit for human touch”. Rising urbanisation and industrialisation are driving the rate at which China’s water source pollution. Agriculture is the single largest polluter of COD (Chemical Oxygen Demand) and NH4 (Ammonia), while the industry is the worst heavy metal polluter. Industrial pollution, including industrial water pollution, is closely linked to the emergence of more than 450 cancer villages (villages where the mortality rate us at least twice as high as the national average) located near to heavily polluting industries. China’s unprecedented economic growth over the past three years has relied on three interlinked resources: water, energy and food. 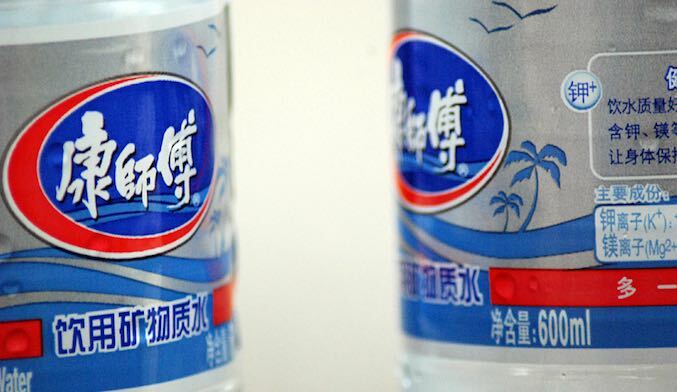 The energy industry is a major user of China’s water, making up 12.3% of the national total water withdrawals. Thirsty coal-fired power plants currently supply 70% of the country’s electricity, while hydropower is the second largest source of electricity with 22% of total power generation. At the same time, coal and power generation are one of the largest polluting industries in China. Likewise, water production, distribution and treatment are highly dependant on energy. As increasing urbanisation and industrialisation further drive demand for water, they also drive demand for energy. Making effective management of these two resources pivotal to stabilise China’s socio-economic development. As the agricultural industry also requires large amounts of water and energy, another important resource in the mix to consider is food. Crops and livestock use 60% of China’s water supply, and water demand is to grow 9% between 2015-2030 as rising incomes and rapid urbanisation drive the water-intensive meat industry. While water pollution from fertilisers, pesticides and animal waste runoff pollute China’s fresh water resources, industrial water pollution from nearby factories remains one of the main causes for 20% of arable land being heavily polluted with heavy metals affecting the country’s food safety. Furthermore, as the food systems moves towards larger farms and distribution systems, more investments will be made in irrigation, machinery, transport and infrastructure, which will require even more significant energy inputs. It is evident that all of three resources are heavily reliant on each other, and if not effectively managed will drastically impinge on China’s further economic development and social stability. 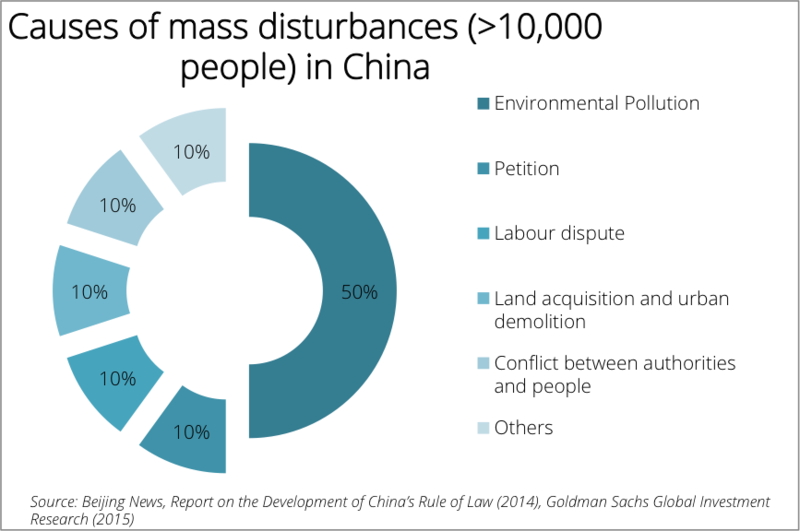 Environmental issues are now the number one cause of public protests in China, increasingly disrupting the social stability in the country. It is undeniable that these problems need to be alleviated to ensure a safe and sustainable development for the world’s most populous country and second largest economy. While the government is already pouring billions of dollars into alleviating the problem, important measures such as increasing water efficiency and pollution prevention not only need to be stressed by the central governmental, but also need to be prioritised and managed by local governments. We assist industrial companies sell and distribute in China. If you enjoy reading our articles, then you'll love our resources section.